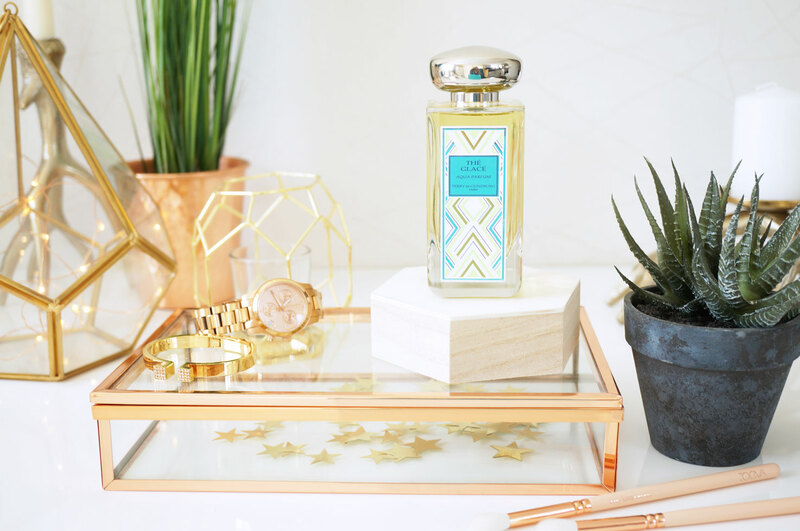 It’s Wednesday, the sun is shining, and the beautiful new limited edition fragrance from Terry De Gunzburg has just landed – and I wanted to tell you guys all about it! 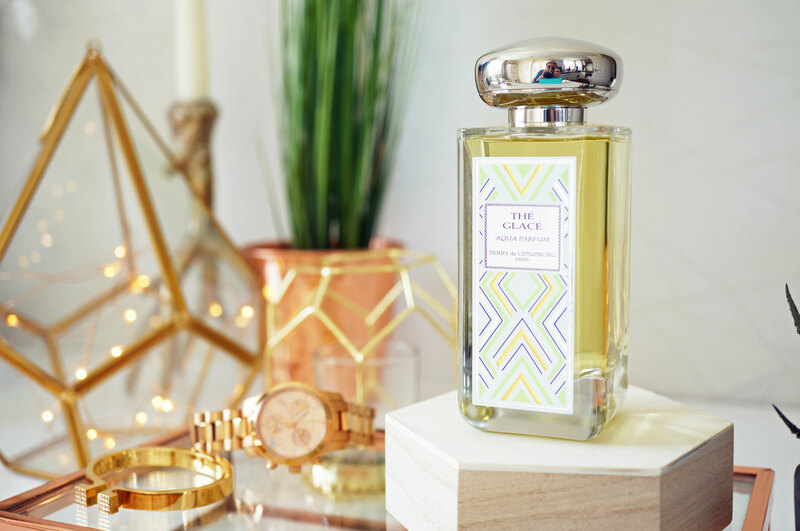 Thé Glacé Aqua Parfum is a wonderfully refreshing summer fragrance, combining both masculine and feminine notes to create a true unisex fragrance that smells fresh and inviting. Thé Glacé Aqua Parfum has top notes of Verbena, Black Tea, Fresh Almond, Mint and Grapefruit, heart notes of White Flowers and Lavender, and base notes of Musk and Moss. This is no doubt a sophisticated scent, with complex layered notes of fresh white flowers, grapefruit and mint, combined with musk for depth and sensuality. The fragrance also includes more masculine notes such as moss and woods to create neither a male nor female fragrance, but a scent that can be worn and enjoyed by all. 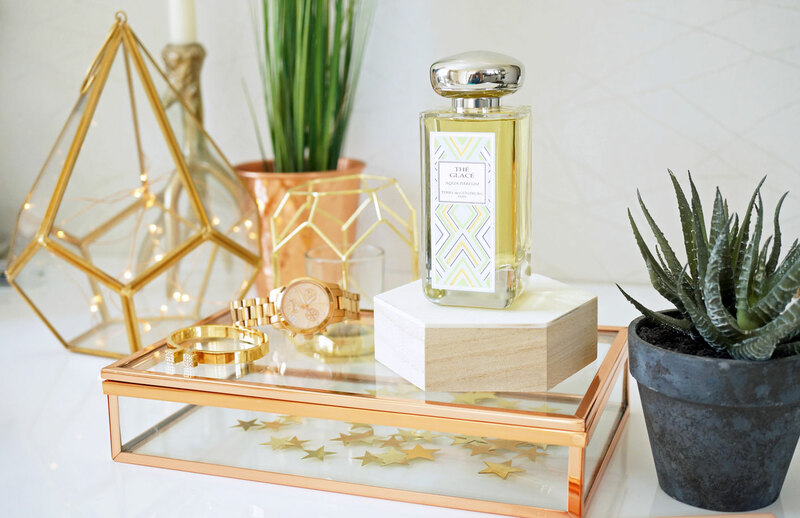 Though this is most definitely a fresh and summery fragrance, this is by no means your bog standard off-the-shelf scent – it really couldn’t be further away from that. Thé Glacé Aqua Parfum really is like not other fragrance I’ve tried – it’s grown up, confident and sophisticated. It has a distinct smokiness that you can’t fail to notice – combined with spiced wood, citrus and musk, it makes for a truly stunning fragrance. A quick note about the bottle, which is simple and elegant. It has a clear glass exterior and a high shine chrome finish lid – it would look fantastic on any dressing table. Thé Glacé Aqua Parfum Eau de Parfum is £107.00 for 100ml, and available now from House of Fraser.